Our church has a new minister. 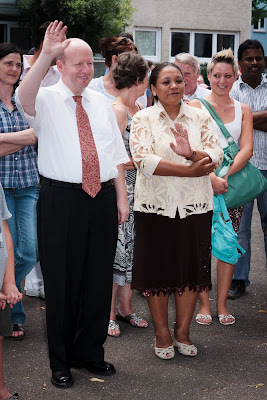 Father Wolfgang Marquardt returned with his wife and children to Swabia from Indonesia, where he had been on a six-year mission. 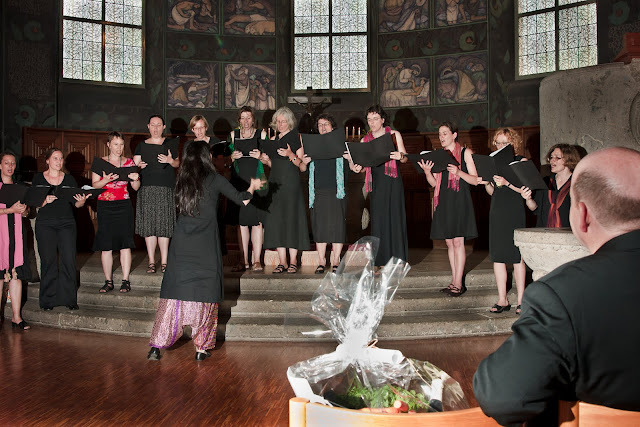 At his investiture in mid-July, Bianca’s choir was singing, so she had to be there early. Fynn and Fiona went with her and played with their friends outside during the ceremony. I showed up with Julia and my camera towards the end of the two-hour service. Oddly enough, there was no other photographer there. It seems they had counted on my being there. While Julia slept in the baby carriage, I quickly went to work, realizing the moment was quickly slipping away. The choir sang the three verses of one song in different languages, including Indonesian, which really tickled the new pastor. 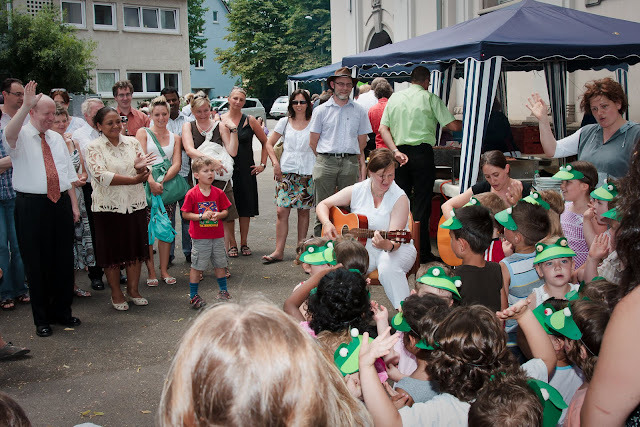 After the service, it was time for the Klingenbach kindergarten to perform for the Marquardts. They sang a song about frogs, complete with masks. 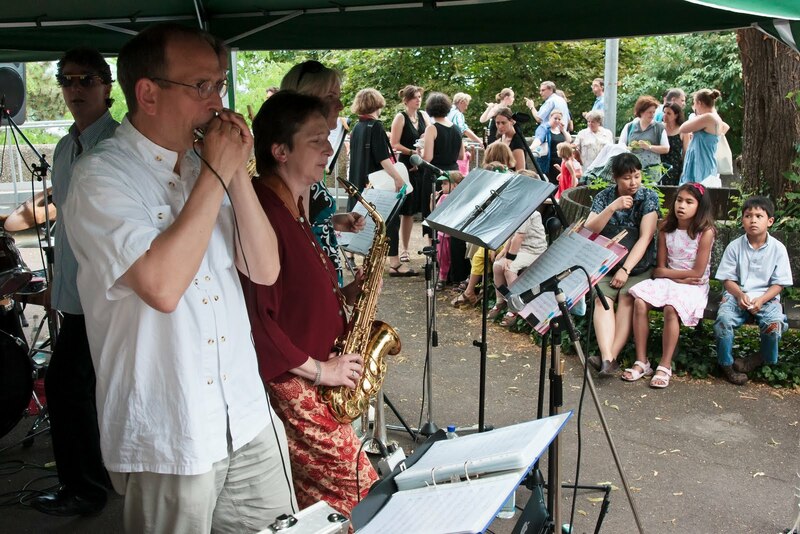 A band played outside while the parish members at lunch.